Ted Baker (LON:TED), the global lifestyle brand, announces a 0.2% (0.4% in constant currency) decrease in Group revenue for the 16 week period from 11 August 2018 to 1 December 2018, compared to the same period last year. This reflected the anticipated decline in wholesale sales due to the timing of deliveries, largely offset by the retail sales performance. This result was achieved despite the continuing challenging external trading conditions across our markets. In the UK, Europe and the East Coast of America, trade was affected by the unseasonal weather at the start of the period and trading in the UK continues to be impacted by the well-publicised challenges facing some of our trading partners. Total retail sales including e-commerce increased by 2.3% (2.1% in constant currency) for the period and average retail square footage rose by 5.2% to 427,586 sq.ft (2017: 406,258 sq.ft). E-commerce sales, which are an integral and increasingly important component within our retail channel, increased by 18.0% (15.3% in constant currency) and represented 30.3% (2017: 26.3%) of total retail sales for the period. Total retail sales for the last eight weeks of the period increased by 4.0% as the weather became more typical for the season. As anticipated, wholesale sales for the period decreased by 6.5% (7.0% in constant currency) due to the earlier timing of wholesale deliveries in the first half of the year. We continue to anticipate mid to high single-digit wholesale sales growth (in constant currency) for the full year. Both retail and wholesale gross margins were in line with our expectations. Our product and territorial licensees continued to perform well, reflecting the global strength and appeal of the brand. We opened licensed stores in India, Kosovo, Saudi Arabia, Singapore and South Korea. 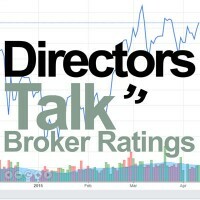 The Board remains mindful of the challenging markets in which the Group operates and is focused on making further progress for the full year. “We are pleased with the brand’s continued expansion, which is a reflection of the strength of the Ted Baker brand and the design and quality of our collections. 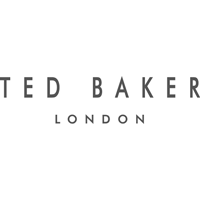 Ted Baker intends to make its next trading statement covering the period from 2 December 2018 to 5 January 2019 in mid-January 2019. This announcement contains inside information. The person responsible for arranging the release of this announcement on behalf of the Company is Charles Anderson, Finance Director & Company Secretary. Following the Company’s announcement on 3 December 2018, the Company confirms that it has appointed Herbert Smith Freehills LLP, a leading and independent law firm, to conduct an independent external investigation into the reports received. Herbert Smith Freehills LLP will report into a committee of the Company’s Non-Executive Directors that will be chaired by Sharon Baylay.